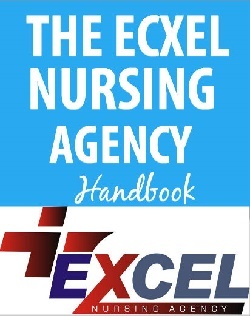 My mum has been having some heath challenges which I have sought after getting a Nurse to cater for her; on hearing about THE EXCEL NURSING AGENCY, I quickly contacted them knowing that my challenge of getting a Nurse for my mum has been solved. Since when they have started caring for my mum, a lot of improvement has taken place in her and she commends positively about the Nurses who care for her. She is no longer lonely and I am happy I met this Agency. Their CEO is a quite funny, friendly and humble young man. I can boldly recommend them to other interested clients. On my discharge from my Hospital where I was receiving orthopedics care, I had issues of getting qualified Nurses who will help dress my wound. Someone recommended THE EXCEL NURSING AGENCY to me; I contacted them and they agreed on offering me quality wound care. I was initially discouraged at first seeing how young the Directors of the Agency are thinking they couldn’t offer me quality care when we spoke; but to my amazement, the CEO of the Agency himself decided to take charge of my care and not give to his workers to engage in. In two (2) weeks, my wound was completely healed. He gave concise and simple measures to aid the wound healing and showed his dexterous skills when dressing my wound. They are indeed a blessing to me. I was directed to this Agency by the General Manger of the Hospital I was receiving health care in Benin City. On contacting them, their Executive Director came to me and spoke with me politely promising to render me superb Wound care for my Hip replacement surgery I had. I was really surprised at the dexterous skills shown by the Exec. Director and which I nicknamed him “My Healing Angel”. He would always smile with me, very simple and highly knowledgeable. I recommend this Agency to any one in Nigeria in need of someone to care for him/her at Home. I contacted this Agency when I needed to get admission for a post graduate diploma in Critical Care Nursing in Canada. From the first day I contacted them, they kept encouraging me to focus on my dream and make it a reality, followed up on my request. They requested for necessary supporting documents which I sent. My admission letter was gotten with 5 weeks of the admission processing. What baffled me was that they kept on updating me about the whole process till I got the admission letter. I proceeded to apply for my study permit which they also guided me on necessary supporting documents for the visa processing. I recommend them to anyone interested in studying at cheapest school in Canada, USA and even tuition-free universities. They will assist you get institutions where you don’t have to pay tuition fee from Nigeria, cheaper accommodation provinces/states, airport pick up service and settling down in your chosen institution. They even assisted me get one supporting document needed for my visa facilitation. Thank you The Excel Nursing Agency for making my dream come true.